The shield world of Requiem is essentially an enormous series of concentric planetary shells enclosed within each other and hidden beneath a vast armored surface. 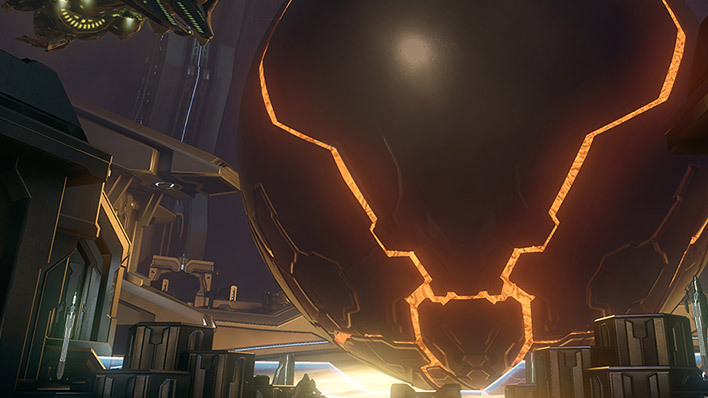 This artificial planet was the Didact’s main refuge during his command of the Forerunner military. 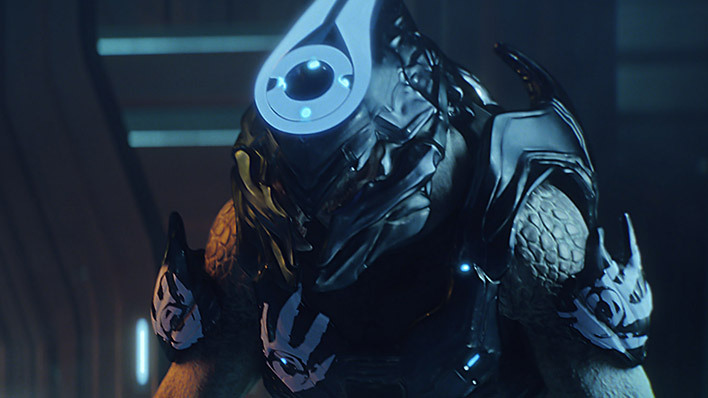 Requiem was placed in dormancy when the Didact’s wife, the Librarian, discovered his crimes against the humans and betrayed him, locking him away in a Cryptum. 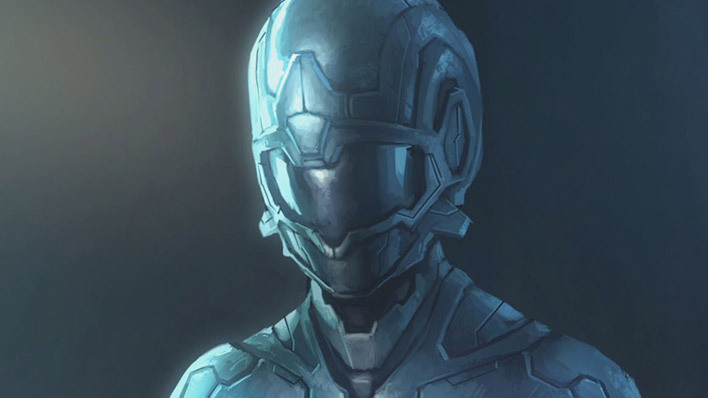 After his awakening, Requiem once again became a key strategic point for the Forerunner, and the UNSC would contend with this world, its extensive Promethean army, and its mysterious secrets for some time. Eventually, the artificial world was hurled into its system’s sun, Epoloch, and is presumed destroyed. 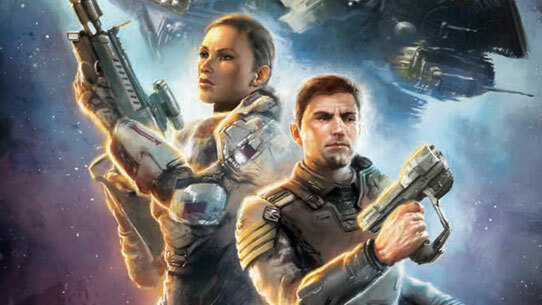 The vast collection of islands just off the southwestern coast of Requiem’s smallest continent played host to a number of critical Spartan operations, forcing Infinity’s detachments to deal with both Covenant and Promethean elements throughout their protracted campaign on the shield world. Referred to as “Apex” by Spartan Command, this site appeared to have once been a translocation outlier, offering individuals and machines easy access across Requiem’s many environments through its incredibly large portal generator network. Scientists have since theorized that this site had other functions, as the data acquired from initial scans has offered deep insight into the Forerunners’ translocation technology. The key site of a number of critical ground conflicts, the location deemed “Lockup” by Spartan Command was believed to have been an enormous staging ground for midsize Forerunner vessels. 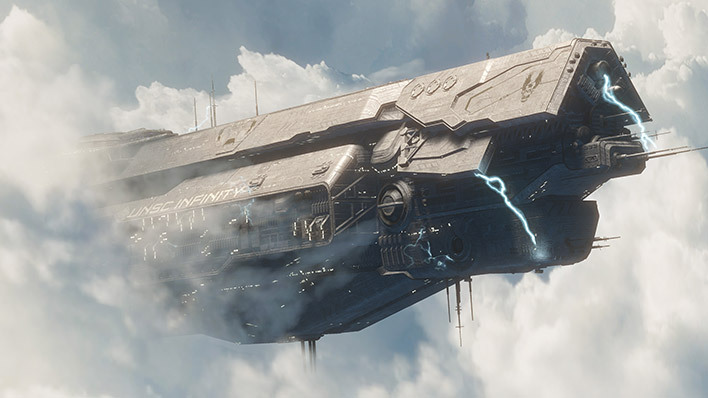 Prior to deployment into battle, Forerunner ships likely coalesced at this site and others similar to it, undergoing refits, repairs, and simply preparing for flight into deep space, with actuary drones taking estimates on numbers and firepower. Data acquisitions also hint that this site may have been relevant to the first deployment of Forerunner ships during their war against ancient humans, and specifically the Didact’s own ship, Mantle’s Approach. Buried within a large volcanic mountain range, the site Infinity’s Spartans dubbed “The Cauldron” appeared to be a thermal processing system created by the Forerunners to power large-scale tension modifiers, which were used to stabilize atmosphere pockets deep within the planet. The Cauldron was the site of numerous conflicts, and eventually led to the discovery of a valuable artifact the Covenant desperately sought. This object and the secrets it held made the Cauldron one of the most significant battleground sites on Requiem, later leading the UNSC to the mysterious Janus Key. “The Refuge” was a site of great interest for the UNSC Infinity for the extent of its campaign. Although the site’s full purpose during the time of the Forerunners remains unknown, the Refuge’s near-inaccessibility deep within the vast northern jungle regions of the planet and its heavily fortified compartments hinted at it being a safe house of some sort. The discovery of a translocation conduit further validated this theory, in that Requiem’s occupants could activate a portal, safely delivering them to this site were the planet ever besieged by outside forces. During the Requiem campaign, Jul 'Mdama created a small outpost in a series of caves and underground Forerunner structures, strategically located near the Apex site. After recovering data from another Covenant outpost, Spartan Commander Sarah Palmer sent Fireteam Crimson to infiltrate the facility. Crimson cleared the area and hacked a local terminal, discovering the location of an important Covenant archaeological dig. Later, Fireteam Lancer discovered that the Covenant had returned to the Warrens and created a new base. Lancer and Crimson joined forces in their assault on the facility. However, a shield wall with camouflaged power generators blocked the Spartan's access to the Warrens. After eliminating the Sangheili guards, the teams destroyed the exposed generators, bringing the shield wall down. 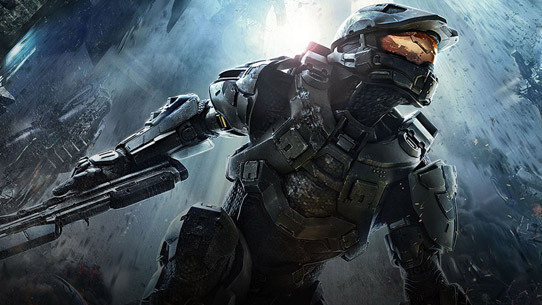 The Spartans then detected a distress signal from deeper in the cave system. Inside a Forerunner structure hidden within the caves, Crimson came across Fireteam Switchback - who had gone missing while trying to disrupt a Covenant excavation - trapped behind another shield wall. 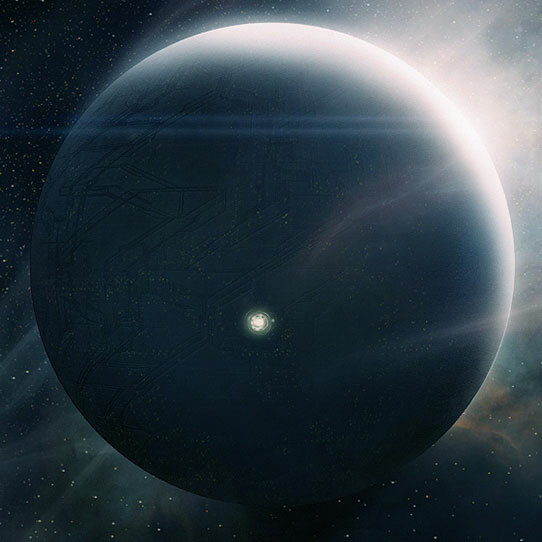 UNSC Galileo Base, located on the northeastern coastline of Requiem’s largest continent, was a critical site during Infinity’s protracted ground campaign in the months following the reemergence of the Covenant. Although this location was intended to be a science facility, ONI enforced what they referred to as “Persistent Field Resilience,” a mandate that required combat readiness regardless of perceived environmental safety. This precaution proven well-founded, as the Covenant laid siege to Galileo numerous times, spurring multiple Spartan fireteams into action. Referred to as the ‘Great Anvils’ by UNSC personnel deployed to the southwestern peninsula of Requiem’s smallest continent, these massive sentinels towered high above the shield world’s warm tropical ocean. The geologic data acquired from these islands has offered incredible fodder for Infinity Science’s Forge group, providing diverse and modifiable terrain for the War Games combat simulations. Many worlds created by the Forerunners play host to vast ecosystems that are ultimately fed by an artificial sun. On Requiem, such suns were formed and maintained by a massive grid of harmonic resonance platforms—intricate and powerful structures hidden high above the surface of the world that operate in perpetuity to ensure its safety. During UNSC Infinity’s initial scans of Requiem, the technicians captured extremely detailed scans of a number of these structures and, believing they might be useful during combat simulations, sent them to the War Games AI for review and possible integration. Enigmatic and multi-purposed, spire beacons similar to these apparently frequent a number of Forerunner sites, including Halo and Shield installations, as well as the Ark megastructure. Buried within deep canyons, these towers are not only sheltered from off-world debris, but their positions allowed them to leverage the steep environment’s natural harmonics to amplify their signals when firing deep into space. Most scientists believe the spires - at their base function - act as communication channels, sending specific commands to other remote locations. The full operation and over-arching purpose of these mysterious objects, however, remains a source of speculation. During a number of classified planetside expeditions conducted in this part of Requiem, specific teams were dispatched to ascertain the purpose and function of the many citadels towering over this tropical sea. To their surprise, a series of deep-sensor seismic scans revealed the structures were actually part of a far larger construct hidden below the sea. Assumptions among analysts vary, but the most widely accepted theory is that the citadels are rampart-like towers rising above the apex of the hidden Forerunner creation, somehow acting like automated battlements of an impossibly large castle. Perhaps the most intriguing collection of structures on Requiem, this shield world’s equator played host to a number of large-scale pressure harvesters—massive complexes that attempted to harness the planet’s violent squalls for energy. The precise function of these machines remains a mystery, but some science personnel attached to pioneer recon groups believe that a proper understanding of their inner workings could yield an unprecedented amount of affordable, clean energy for the Unified Earth Government. Due to unexpected hostilities, the science teams dispatched to this site were quickly recalled after acquiring a number of detailed environmental scans for further analysis.